Do you know that the Constellation Centre in Bristol, England stores and distributes 15% of the total supply of wine and alcohol in the UK’s market [AvantaUK]? Such a large distribution centre utilises an advanced computing system to ensure efficiency and productivity at the same time. Furthermore, its computing equipment is built with anindustrial workstationto provide operators withpracticaland multipurpose solutions which can optimise the supply chain. Also, theruggedisedworkstation prevents the embedded panel PC from overheating as well as the sights of cables displayed around the workplace. Therefore, this workstation safeguards the computing system and protects operators from any untoward incidentswhileon distribution processes. 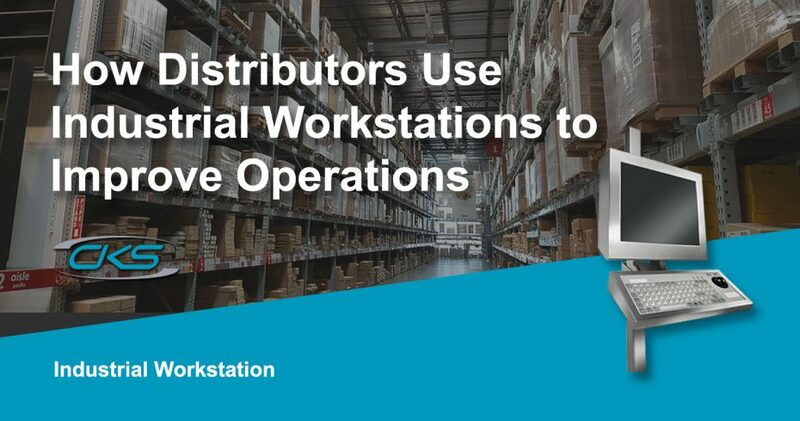 So, how can an industrialworkstationserve to protect the distribution supply chain? Read on through this blog and understand why installing computer workstations is a critical factor in operating a distribution process. Computing devices installed in distribution facilitiesare exposedto dust, dirt, and other substances which can cause system failures. Thus, it can severely disrupt the entire distribution process. However,panel PCs built in an industrial-grade workstation can ensure that the device function well in this kind of environment. Its stainless-steel construction frame bears a high IP and NEMA rating which protects the computer’s critical components. As a result, a computing system has now an added protection to withstand the working conditions in a processing facility. So, in the next section, check out the other benefits if installing workstations for computers in distribution operations. Industrial workstations are designed to bring in the computer to the heart of the distribution supply chain. Say, alcoholic beverage distribution operations haveanalyticalprocedures which require specialised equipment for efficient operations. This device must also have the capability to withstand a fast-paced bearing environment. That is why many operators opt for a computing system whichis embeddedin an industrial workstation. Here are some advantages of integrating panel PCs with industrial-grade workstations. Workstations can come with a stainless steel mounted pedestal. Thissturdyfeature offers a secure and elevated platform for industrial PCs with specific applications. A distribution workplace must have a flexible environment where operators can work efficiently without being disrupted by bulk PC cables and wires. Industrial-grade workstations were designed to have a secure platform that is compatible with the standardised panel PC mounts.Thisensuresthat all the computer wires and cables are clustered, organised and keptcorrectly. Industrial-grade panel PCs installed in rugged workstations can easilybe installedand integratedintothe distribution process. In fact, someindustrial PCmanufacturers offer customisable PC and workstation options to suit the needs of the industry. Alcoholic beverage distribution centre must optimise its operations to meet the ever-growing demand of their UK-based customers. Therefore, there is a need to employ industrial PCs embeddedinindustrial workstations. It has the features and capabilities required for a streamlined and precise operational flow. So, contact anindustrialworkstationmanufacturertoday and start building workstations that are compatiblewithdistribution operations in warehouses.